On the heels of her triumphant How to Be a Victorian, Ruth Goodman travels even further back in English history to the era closest to her heart, the dramatic period from the crowning of Henry VII to the death of Elizabeth I. Drawing on her own adventures living in re-created Tudor conditions, Goodman serves as our intrepid guide to 16th-century living. Proceeding from daybreak to bedtime, this charming, illustrative work celebrates the ordinary lives of those who labored through the era. From sounding the "hue and cry" to alert a village to danger to malting grain for homemade ale, from the gruesome sport of bear-baiting to cuckolding and cross-dressing - the madcap habits and revealing intimacies of life in the time of Shakespeare are vividly rendered for the insatiably curious. The necessarily dry nature of the material is dragged, snoring, beyond the edge of tedium by the robotic narration. Sure the narrator was very pleasant to listen to and did a great job. However, I adore how excited Ruth gets when she discusses history and that would have been a fun bonus. 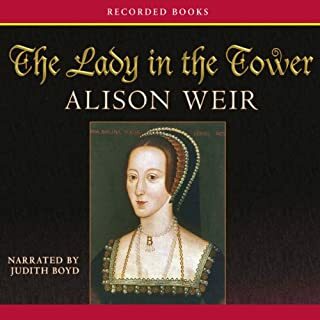 This was a fun and interesting book and is a must read for anyone who loves Ruth on her different tv series (Tudor Monastery Farm Er al). She references a few of those shows in this book (though not in an obnoxious way or in a way that would be hard to follow for those unfamiliar with the shows...it was a nice tie in for the familiar). Ruth brings the history of the common person to life with the fun, insightful, and passionate way that fans would expect. Have listened to this for a couple of evenings, and find it fascinating. 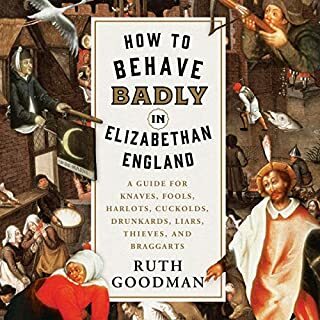 Ruth Goodman has not only done meticulous research to offer an intimate view of what life during the Tudor period would have been like for the average person, she has a delightfully engaging way of presenting it. What could easily be dull information, she has presented in a manner that has made all this fascinating. Now, at last, for instance, I have learned a good explanation for why Shakespeare left his "second best bed" to his wife. And this book is narrated beautifully. What I find best about it is that I can return to it time and again to learn new things I didn't pick up fully in the first listen. Highly recommend. If you are someone who enjoys going to Renaissance festivals, this book might be for you. Or if you just enjoy having a deeper peek into the lives of folk from the time of the Tudors in England. Quite a fun listen. informative, accessible and entertaining. 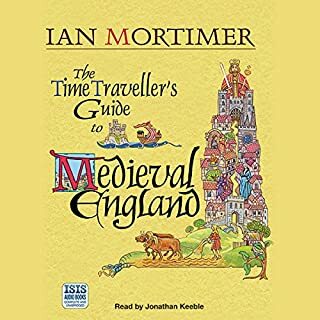 highly recommended for anyone interested in late medieval period, and "regular" peoples' lives and living. I attend Renaissance Fairs as a vendor and needed to know how a shop owner would be expected to dress and how a woman in Tudor England would think and act, what kind of things she would talk about or not talk about. This book gave me a wide and detailed understanding on “How to be a Tudor” ordinary person in a very interesting way! Other than the slightly robotic narrator, the book was very good. 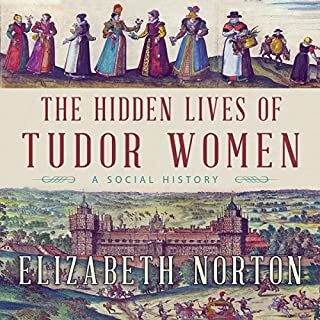 I really enjoy Ruth Goodman and the Tudor time period. The reader is a bit dry, but it's so well written you don't even notice it. 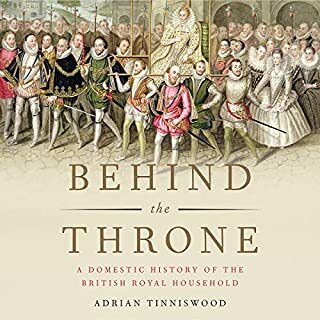 This book was a pleasant surprise; when I first purchased it I thought it would be about the lives of the nobles, but instead it focus on the daily routines of common citizens. What surprised me the most, however, was the author’s level of dedication - not only she researched about their habits but she has even tried some of them herself. I wasn’t expecting their level of hygiene to be so high. Of course they didnt take baths regularly, in fact that was believed to allow diseases into the body, however their changes of clothes, particularly underwears and the scents they used to use did the job quite good, according to the author’s experimentations. Another interesting thing about this book is that it covers practically every important aspect of their lives; from where they slept to how they worked and studied. The Tudor Era is surely very different from what I was expecting but here are some highlights; 1)houses didn’t have corridors. You would get from one room to another crossing the already existing rooms. 2)Apprenticeship could be expensive and take over 10 years 3)Owning a bed was quite a big deal. It was even part of inheritances. So did clothes, they’d count every single shirt 4)Nutrition was already a concern back at that time. In fact, they had some preoccupations regarding healthy habits and etiquette 5)Talking about food, the amount of money they spent on it was crazy, reaching up to 70% of their incomes, making it a big deal. To sum up, this book kept my attention from beginning to ending and the narrator’s voice suits the text really well. I definitely recommend it for any history enthusiasts. 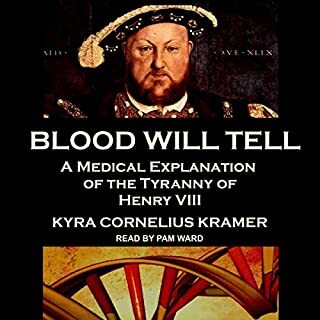 A modern-day Tudor tells her tale! 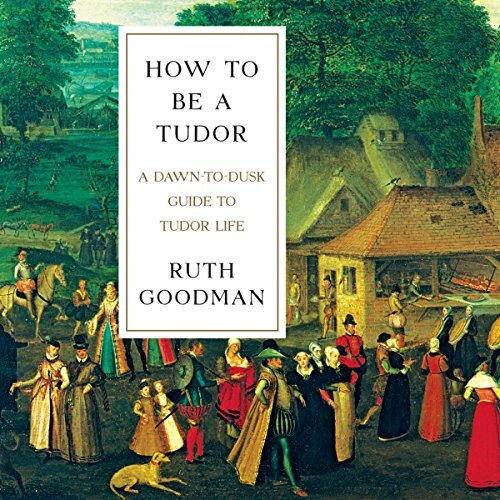 I really enjoyed Ruth Goodman's wealth of personal experience in all things Tudor! Mark Twain's Connecticut Yankee has got nothing on this fair damsel. She's eaten, worked. dressed, and lived as authentically as possible, allowing her to paint the most vivid picture of an era long past. Fascinating! A little long-winded on certain topics, but an excellent snapshot none the less. I've read other stuff about how people lived in the 16th century, but I learned a lot from this book that I hadn't encountered before, because the author goes into so much detail about exactly how things were made. (What beds were made of; how Tudors bake bread; how Tudors brew ale; how Tudor tailors made clothing, and so on). I also appreciate her use of historical records of the time to back up her theories (e.g., that the English were more embarrassed about children born out of wedlock than the Welsh, because the wills of Welsh men more often mentioned such children). Not crazy about the narrator — she reads in a monotone and sometimes emphasizes the wrong words in a sentence, which was jarring.